Throughout the nineteenth century, the Sultan of Zanzibar ruled most of the East African mainland. He held tight control over the region, and ran lucrative ivory and slave trades. The indigenous tribes resented the control, but weren’t nearly powerful enough to oppose it. As David Livingstone launched his expedition from Zanzibar, other explorers joined him and they began to send back reports of the horrors of the African slave trade. Political lobbyists in England began to press the Sultan to quit the slave trade, and in 1873, he reluctantly capitulated to their demands. Thanks to these efforts, the British government held an informal control over the Sultan for a time. In the 1880s, British control came under threat by the Germans who began quietly garnering allegiance and support from the local tribe leaders. They moved quickly, getting each tribe to agree to the Kaiser being their overlord. The tribe leaders were quick to agree, misguidedly assuming that a distant overlord would be less trouble than the nearby Sultan. The Germans formed a German East Africa Company that incorporated all the lands of the tribal treaties that they had signed. The new colony was dubbed Tanganyika and stretched from Tanganyika to Witu. The British were taken fully by surprise, and moved rapidly to counter the German occupation. They set up the British East Africa Company and once again put pressure on the Sultan to hand over command of his remaining lands in East Africa. Once the land was rightfully divided between the Germans and the British, a temporary peace was established as each agreed to respect the others’ domain. A few years later, a more binding agreement was officially signed, giving Britain rule over Zanzibar and all the land from the Island of Pemba to Lake Victoria and the Nile watershed. Before long, the East Africa Company found that their income was not nearly enough to offset the expenses of administration, so they sold their lands and buildings to the British Government. The government had the resources to properly develop the region, and a railway was soon built which opened up the highlands for white settlement. The highlands provided a pleasant climate and land suitable for growing a variety of cash crops. In 1906, white settlers had moved in and developed crops of tea, coffee and tobacco. In 1907, the white settlers were given a select number of seats in the local government, though the local governor maintained majority control over who was appointed. At the end of the First World War (which strongly impacted Kenya’s white population), the British settlers there pressed for the adoption of Kenya as a Crown Colony. This request was granted, giving the settlers far great rights in the region. Though the British government stated that as an African territory, the natives should be paramount, the lion’s share of government representation was given to the white settlers. This inequality coupled with the worldwide depression of the 1930s led to serious tensions in the region. Nationalist groups grew up, and Kenya was wracked by deadly rebellions. The Mau Mau rebellion resulted in the murders of multitudes of British settlers and those who worked for them. The rebellion was quelled, and throughout the 1950s, the Africans were given more lands and greater representation in government. In 1960, the policy of “one person one vote” was established, effectively ending the imbalance of power held by the white settlers. By the end of British colonial rule in 1963, there remained some 60,000 white settlers living in Kenya. That number has dropped over the years, and today there are an estimated 32,000 British expatriates living there. There are a number of well-known Britons who were actually born in Kenya, including Evolutionary scientist Richard Dawkins, cyclist Chris Froome, and Sir Michael Bear, 683rd Lord Mayor of London. Regardless of who discovered the island, the first recorded landing was made by Captain John Strong in 1690. As he and his crew searched for the wreck of a Spanish treasure ship, they found themselves running short on food and water. They weighed anchor on the island and loaded up on fresh water and an abundance of geese and ducks. Before leaving, Captain Strong named the sound between the two large islands Falklands Channel in honor of Viscount Falkland, who had sponsored the expedition. As time progressed, the name Falklands eventually encompassed the whole island chain. Throughout the 16th and 17th centuries, the Spanish and the French had been launching further and further into the region. The Spanish had taken over much of the Central and South American mainland, and had claimed hegemony over the continent. French ships were exploring and mapping the area, searching for land for French colonies; however they found little that the Spanish had not already claimed. At this time the Falklands fell within the Spanish claims. In 1740, George Anson alerted the British government to the strategic opportunities that the Falklands presented. The islands sat in a key location along the east-to-west route, and Anson suggested that the islands would make an ideal anchorage point. The British government prevaricated about deciding on a settlement, and in the mean-time, the French set about building one. This started a furious struggle between the French and Spanish governments. Meanwhile, unaware of the competing forces, the British finally moved on Anson’s suggestions and launched their own expedition in 1765. Finding the spot ideal for a permanent settlement, the British sent a full garrison along with livestock and supplies enough to sustain a settlement of 100. The first British settlement was called “Port Egmont” in honor of Lord Egmont who had sponsored the endeavour. Only when the British began to explore the islands in earnest did they stumble upon the French settlement at St. Louis. Eventually, both the British and the French were forced to leave, and the Falklands once again were placed under Spanish control. Before leaving, however, the British left behind a flag and a plaque declaring their sovereignty over the islands – and their intention to return. In 1832, Britain did just that. After reasserting its claim, British forces arrived, evicted the Argentinian settlers, and established a British settlement. Throughout the late 19th century, sheep farming became the core industry of the islands. This brought on a substantial migration from the British Isles. Within a period of fifty years, the population increased seven-fold, growing from a mere 287 in 1851 to 2043 by 1901. Some immigrants came from England; however, most came from Scotland – in particular, from the Orkney and Shetland Islands. By 1892, the Falklands were granted status as a colony. Ownership of the islands continued to be hotly contested, culminating in the Falklands War in 1982. This led to the establishment of a semi-permanent force of 1700 British troops remaining to protect the 2200 residents. Hostilities weren’t formally dissolved until around 1995. Today, less than a third of Falkland Islanders consider themselves British, though the population is English-speaking and all Islanders have full British citizenship. The most recent census showed that about 70% of the population is primarily of British descent. Throughout the 1600s, English courts had relied on the colonies to alleviate the overwhelming criminal population. Jails were filled to capacity as crime rates burgeoned. Because the criminal justice system was so overwhelmed, convicts were often offered a choice between death or exile. While many obviously chose emigration over death, the colonies quickly became unhappy with the arrangement. By 1697, many colonial ports simply refused entry to convict ships. To compound the problem, the justice system was wildly unregulated to the extent that criminals were often expected to arrange and pay for their own transportation. No one kept track of where they went or how they got there; so many convicts simply hopped a boat to Ireland and came back as soon as the coast was clear. Despite the problems, Parliament still saw the colonies as a viable solution to Britain’s overwhelmed justice system. To that effect, they drafted and passed the Transportation Act of 1718. This act offered a systematic, standardized process by which criminals could be sentenced and shipped to America and the West Indies. Under this new legislation, merchant companies were paid a fixed sum to ship boatloads of convicts to the New World colonies. Upon arrival in the New World, merchants and ship captains were free to sell off the convicts as indentured servants. While the Transportation Act standardized the processing and exile of convicts, there was little regulation once ships set sail. Many captains treated the convicts brutally, keeping them chained below decks and subjecting them to horrible abuses. It was fairly common for a cargo of convicts to mutiny and try to kill the captain and crew. Depending on the severity of their crimes, convicts were sentenced to seven or fourteen years of indentured labour in the colonies. A few richer convicts were able to simply buy their freedom upon arrival; however, most convicts were penniless, unskilled and uneducated. One boatload of felons was surveyed and out of ninety-eight convicts, forty-eight had no marketable skill, and the rest were either too young to have learned a trade or too old to work. These unskilled felons were forced to serve the duration of their sentence under whoever paid their purchase price. Most were put to work by small plantation owners; however, others were bought by shipbuilders, manufacturers and tradesmen. Once a convict had served his sentence, he was set free to start a new life for himself. Some of the ex-convicts established themselves throughout the colonies and became productive in society. Many, however, went right back to criminal activities. In the West Indies in particular, a released convict had very little recourse for survival, as by law he could never have land of his own. The Transportation Act resulted in more than 52,000 convicts being forcibly transported to America and the West Indies. About 80 percent were sent to Maryland and Virginia, while the rest were scattered throughout other New World colonies. The flow of convict labourers continued unabated for decades, and only stopped with the advent of the American Revolution in 1776. Was Your Ancestor an Indentured Servant? The Cayman Islands are found in the western Caribbean Sea. This British Overseas Territory is made up of three islands: Grand Cayman, Little Cayman, and Cayman Brac. Discovery of the Cayman Islands is attributed to Christopher Columbus, who sighted them in May of 1503, on his fourth voyage to the New World. He originally gave the islands the name “Las Tortugas” as the coasts were dotted with huge sea turtles. When Sir Francis Drake arrived on the islands in 1586, he promptly changed their name to “Cayman”- a derivative of the local word for “alligator”. As with many of the Caribbean Islands, the Caymans went largely undeveloped and uninhabited until the middle of the 17th century. A few hardy stragglers had made the islands their home, including a few shipwrecked sailors, various pirate crews, refugees from the Spanish Inquisition, and a number of deserters from Oliver Cromwell’s army stationed in nearby Jamaica. The Cayman Islands officially came under British rule in 1760, under the Treaty of Madrid. While the British officially controlled the island, all attempts at settlement were frustrated for the next few decades. The three islands were popular pirate haunts, and piracy largely prevented any permanent settlement. It wasn’t until sometime in the 1730s that the British moved in and established an official English-speaking settlement. As the settlement grew, so too did the Cayman Islanders’ demand for slaves. Before long, more than half of the islands’ population was made up of African slaves. When the first census of Grand Cayman was taken in 1802, records showed that out of the 933 residents, 545 of them were slaves owned by Caymanian families. This is reflected in the today’s population, as the majority of modern Caymanians are of English and African descent, with a large degree of interracial mixing. From 1670 onward, the Cayman Islands were technically considered a dependency of Jamaica; however, the islands were largely self-governed. In 1831, local residents established a legislative assembly consisting of 10 elected representatives along with eight local magistrates appointed by the Governor of Jamaica. Overall, Jamaica interfered little with the governance of the Caymans. The Cayman Islands continued to be loosely governed by the Colony of Jamaica until Jamaica was granted its independence in 1962. At this time, the Cayman Islands were designated as a separate Crown Colony. Today, the Cayman Islands are considered a non-self-governing British Overseas Territory. A governor is appointed by the Queen, and represents the British monarchy on the Islands. The Islands are officially defended by the Crown, though the British government interferes little in the running of the country. 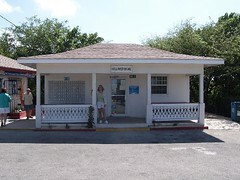 The population of the Cayman Islands sits at around 56,000. The population is largely of mixed heritage, with nearly 60% being of African-Caucasian ethnicities. An Italian immigrant was quoted as saying: “I came to America because I heard the streets were paved with gold. When I got here, found out three things: First, the streets weren’t paved with gold; second, they weren’t paved at all: and third, I was expected to pave them.” This sentiment was echoed by many who made the migratory voyage with high hopes, only to be disappointed upon arrival. We hear many success stories of immigrants who left on a one-way trip and never looked back. 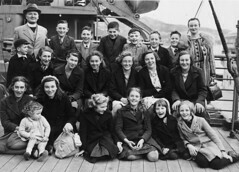 We must consider though, that out of the hundreds of thousands who successfully emigrated from the UK and made new homes abroad, there were many who gave up and returned home. We have put much discussion into the decision to migrate; however, in this article, we look at some of the reasons that caused a large number of immigrants to return home. How Frequent are Return Migrations? Return migration can be somewhat difficult to measure. Some immigrants returned home to stay, while others returned to their home countries temporarily, only to emigrate once more. Most countries also kept poor records on those leaving the country, focusing instead on those arriving. The US, for example, only started recording departing passengers in 1908. Even those statistics can be fairly misleading, as the records only state that an immigrant is leaving. No mention is made of whether the departure is permanent or temporary. Prior to the 19th century, return migration was far less frequent. Travel was expensive, time-consuming and dangerous, and immigrants tended to settle since returning was so difficult. In the late 19th century, trips home became more frequent, and by the early 20th century, we begin to see clear statistical patterns of return migration. For example, some scholars have estimated that a full third of American immigrants returned home. During certain periods, such as the Great Depression, return trips were even higher. Interestingly, however, immigrants from the UK had a fairly low return rate compared to many other nationalities. English immigrants returned at a rate of about 10.4%, while only 6.3% of Irish immigrants ever returned home. Why Did Immigrants Return Home? Reasons for return are almost as varied as the immigrants themselves. Some went with high hopes and gave up when those hopes were not realized. Others never intended to immigrate permanently in the first place. “Birds of Passage”, for example, traveled purely for economic reasons. They intended to work long enough to make a bit of money so that they could better their lives back home. Others returned due to family obligations. Many women emigrated to earn enough money for a dowry, and once that objective was achieved, they returned home. Others were forced to return home to care for parents or siblings they had left behind. Others still had been unwilling emigrants in the first place. Shipped off as indigents, many in this group simply returned home as soon as they were able to earn passage. Finally, a great number of immigrants were just unhappy in their new country. Instead of the easy life they had hoped for, the immigrants were faced with struggles and hostility. They looked back on their home with nostalgia and decided that perhaps things were better there after all.